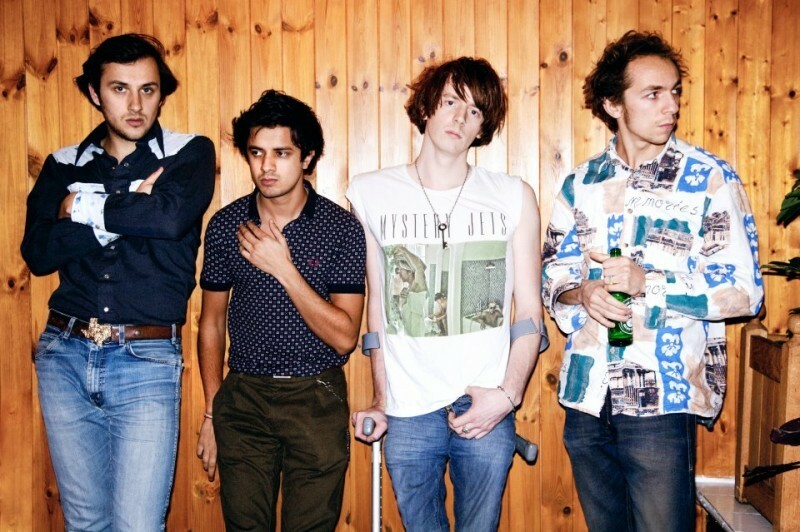 The Mystery Jets have announced full details of their new album 'Radlands' set for release on the 30th April. You can watch a trailer and read a personal message from Blaine regarding 'Radlands' below. "We've always wanted to make a record in America and after touring Serotonin the time felt perfect to go and do it. Our first three albums were entirely conceived and recorded in London so going out to Austin felt like the furthest place from everything we knew. We arrived with a handful of songs, but one in particular felt like it captured the spirit of why we had come there. It was called Radlands (a fusion of the 1970s Terrence Malick film ‘Badlands' and Redlands, Keith Richard's Sussex estate), which is also what we named our studio; a big old wooden house on the banks of the Colorado river. All we brought on the plane were the guitars on our backs, so we ended up borrowing all this amazing valve gear from an old guy called jack who ran a little studio up in the hills-which is why the songs sound the way they do. In the daytime we wrote lyrics on the porch and in the evenings a family of Deer would gather in the back yard to hear us play. Some nights we drove into town to drink and bring people back to play on the songs. Twelve months on, and we are gearing up to take Radlands on the road. Its been a long time and we cannot wait to see you all again.